BARAGA– On Saturday, Michigan DNR officers received a formal commendation from Lansing lawmakers. 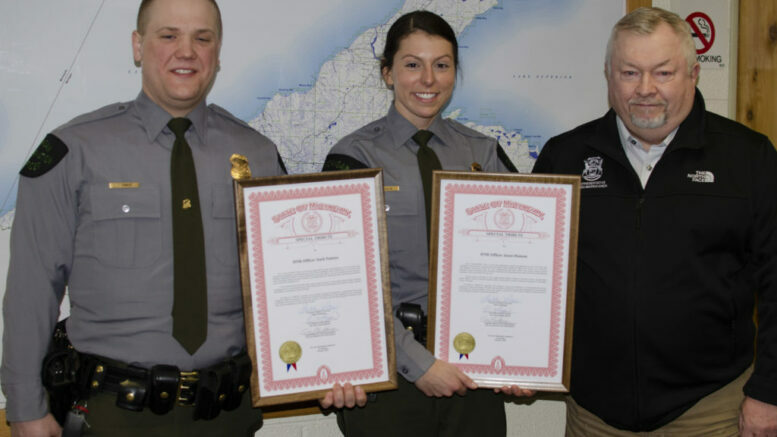 Michigan DNR officers Zach Painter and Jenni Hanson were awarded the recognition due to their rescue on February 9th, when they successfully rescued four stranded snowmobilers in Ontonagon County, despite extreme weather and terrain. 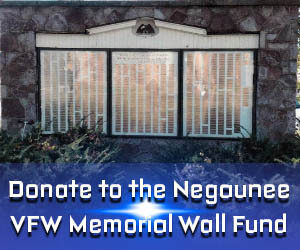 The tributes were issued “with deep appreciation, respect and admiration for all of the hard work, commitment, determination, professionalism and sense of duty exhibited” by the conservation officers. The officers received the award from 10th District State Rep. Greg Markkanen (pictured far right), 38th District State Sen. Ed McBroom, and Governor Gretchen Whitmer.